Summit 2017: The Movement Has Wings! 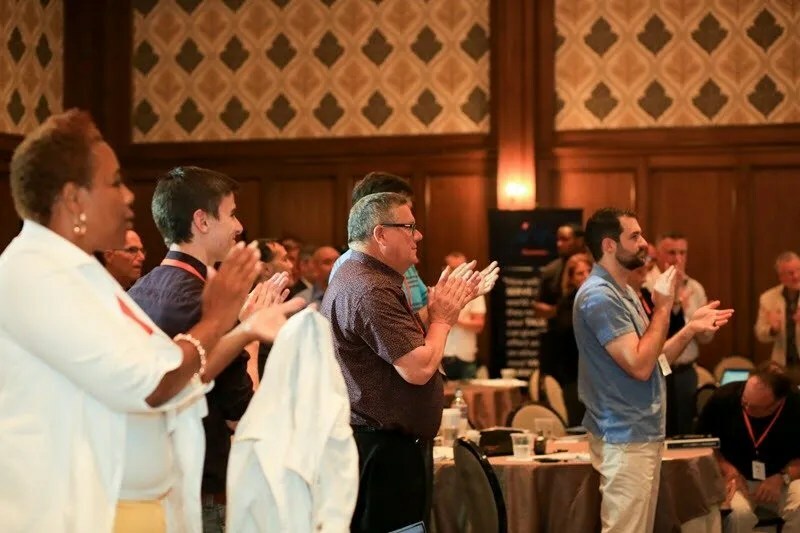 The fourth Summit for Prosperity Economics Advisors event wrapped up last month in stunning Park City, Utah and we couldn’t be more thrilled with how it unfolded. 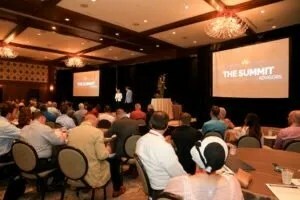 If you’ve never heard of The Summit, it is a three-and-a-half day immersive event 100% dedicated to the success of financial advisors and insurance agents who believe in sharing the whole truth about money and wealth with their clients. 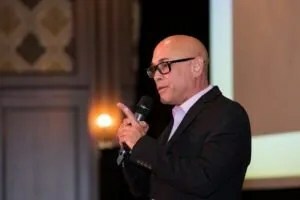 This year’s theme was “How To Thrive in a Dying Industry” which was accurate considering the onslaught of changes hitting the financial industries. Plenty of statistics say that as high as 90% of advisors will fail in their careers and with the average age at almost sixty, it’s enough to depress most advisors. However, that trend reflects the state of affairs for the status quo; “typical” financial advisors and planners. It shows the distrust of the industry that is touted by big media. That is not us. That is not who we are or what we represent. 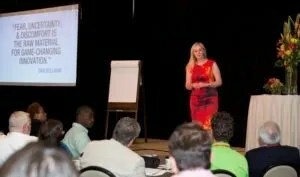 We have an incredible opportunity to completely shift the paradigm of wealth building in America! Shawn Achor, author of “The Happiness Advantage” really helped set the tone early. 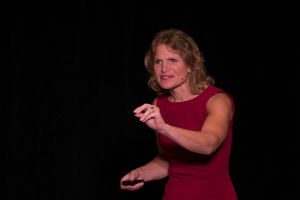 As a participant and coach with Strategic Coach for over 22 years, Kim was honored to have Paulette Sopoci and Matt Yonke share Strategic Coach’s “4 C’s Formula” (Commitment, Courage, Capability, Confidence) which is the building blocks of growth- both personal and professional. This year we welcomed back author, speaker, and entrepreneur Jordan Adler who shared with us an incredible story of synchronicity and why we should believe in our ability to create and experience big dreams! She talked about the reticular activating system (RAS) and how it’s the portal through which nearly all information enters the brain. The RAS filters incoming information and affects what you pay attention to and what is going to (and not going to) get access to your mind. That’s why we need to pay attention to what we think about! A fantastic tool to help with this is to practice gratitude. Be grateful for what you have AND for what you want in the future. It’s no wonder so many attendees were abuzz with excitement over all of the options we have available to assist our clients in realizing their vision of wealth. Much of the public is growing weary of being told to invest in the same risky investments that caused many of them to lose so much of their wealth in the past. Our presenters shared attractive alternative (outside the typical stock and mutual fund offerings) investment options. Learning more about bridge loans, life settlements and other real asset investment options available to both accredited and non-accredited investors were a real hit! It was energizing to hear stories from advisors who are currently using alternative investments to lucratively grow their businesses while serving their clients at a higher level. We also learned additional ways to help our clients through partnerships in estate planning and tax saving strategies. We even learned HOW to hire a great assistant! 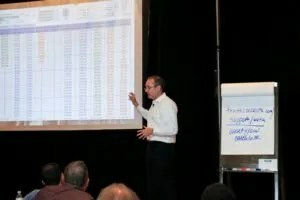 After months of anticipation, Todd Langford unveiled his brand new Asset Flow calculator soon to be released as part of his Truth Concepts software. One of the most astonishing occurrences at the event was the common thread that connected so many of the conversations that happened both on and off the stage. It started Sunday evening with Michael Isom sharing his very personal, gripping story of how he emerged from some serious challenges to recommit to his most important dreams. Next, speaker after speaker and attendee after attendee began to open up and share their stories. They shared stories of their struggles, their triumphs and of what inspired them to do what they do and serve the clients they serve. 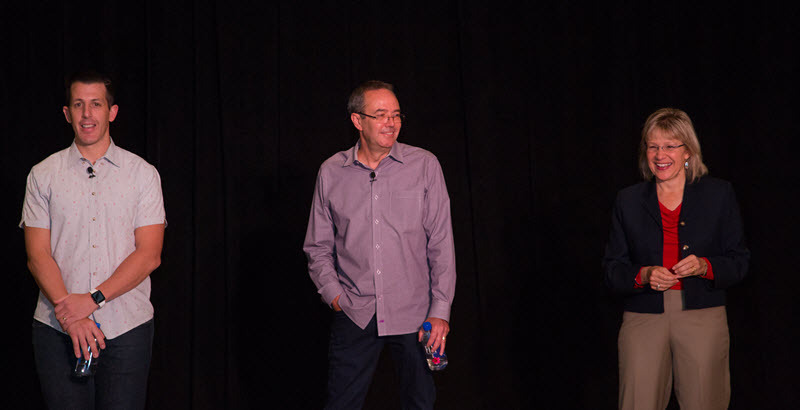 Incredibly, our marketing speakers (with no prior coordination) explained how one of the biggest keys to help advisors differentiate in the market place is through their REAL stories! That’s the fuel that makes all of the other marketing tactics work so much more effectively. It’s no secret that breaking into the whole life insurance business is not easy, especially without proper guidance and support. 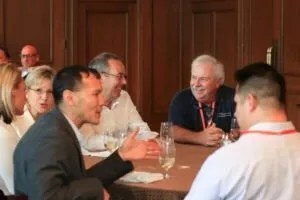 One of the visions that we had early on for The Summit was to be able to assist new advisors in coming to the event and immersing themselves in the education, experience, and community in order to boost their young businesses. We want to teach them through the lens of Prosperity Economics. This year, thanks to the help of our sponsors, we were able to provide two scholarships to a pair of sharp, upcoming and inspiring advisors! This is precisely how we will grow The Movement while simultaneously bringing the average advisor age DOWN! We look forward to increasing the number of scholarships every year. This is the fourth Summit we- Kim D. H. Butler (Live Your Life Insurance, Partners for Prosperity) and husband Todd Langford (Truth Concepts software)- have hosted. I can unreservedly say that the 2017 event was the best so far! The level of gratitude that we feel is so incredible. An event like this can never be put together and executed by a few people. It takes a group of generous, committed people. This year, Patrick Donohoe of Paradigm Life hosted the event with us. We have known Patrick for years and we are grateful to him for deciding to step into an even bigger leadership role to help The Prosperity Economics Movement continue to grow. In addition to Patrick, we so deeply appreciate each and every advisor who made the trip to Park City and joined in creating such a cohesive, positive and productive experience. Thank you to you and to all of the spouses who either came along or helped make the trip possible. Of course, our gratitude list wouldn’t be complete without extending our appreciation to our loyal sponsors who help make the event possible, our incredible speakers, our personal team as well as the audio and video teams who helped capture and execute a top-notch event. 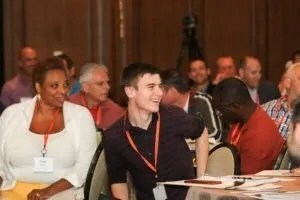 As the event began to wind down on Wednesday afternoon, and everyone shared their experiences from the previous days, the level of genuine passion, commitment and the desire to grow The Prosperity Economics Movement became crystal clear. Story after story reinforced the knowledge that in many ways we are in perilous times and while the vision can seem daunting…we really do have a powerful nucleus of advisors, agents, and experts ready to spread the financial truth to the world! We make a difference in the lives of so many! The 2017 Summit for Prosperity Economics Advisors came to a close with everyone sharing that message as a cheer…HERE’S…TO… SERVICE! 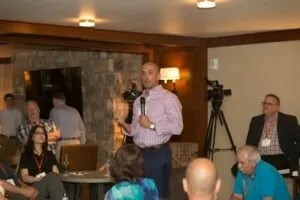 The next Summit will be back in Park City, Utah July 26-29 in 2018. You can get more information on how to join us right here.